Greg Stejskal was an FBI agent for nearly 32 years before retiring in 2006. He was the Senior Resident Agent of the Ann Arbor FBI office and spearheaded Operation Equine with former FBI agent Bill Randall — an operation that focused on steroids. That being said, I have to question the wisdom of prosecuting anabolic steroid users — albeit famous ones — like baseball legends Barry Bonds and Roger Clemens. Take away the star power, and they’re simply users — not big fish, not major peddlers. Frankly, it’s not worth spending all the time and money on them. 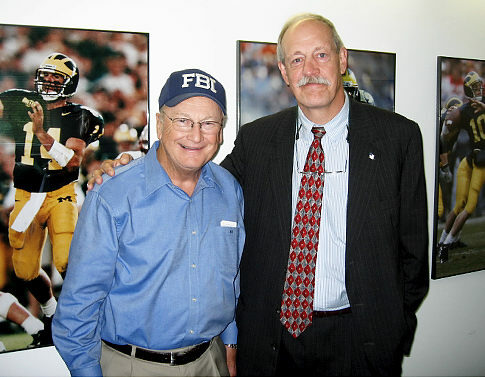 In 1989, when I headed up the FBI’s Ann Arbor office, Michigan football coach Bo Schembechler and his strength coach, Mike Gittleson, persuaded me that steroids were becoming a significant problem at all levels of football. I proposed to FBIHQ that we initiate an undercover operation (UCO) targeting steroid distribution. FBIHQ was not enthusiastic about pursuing the illegal distribution of steroids, but reluctantly authorized a limited UCO to last only 6 months. The operation, code-named Equine, started slow. We made buys from some street level dealers – gym rat dealer/users. Towards the end of our 6 month term, I got a call from FBIHQ. They apparently had received an inquiry from the White House regarding steroid investigations. Equine was the only steroid case being worked in the U.S. at the time. Consequently FBIHQ wanted me to renew the case and upgrade it. What had been envisioned as a local case morphed into an international operation targeting dealers from all over the country, Mexico and Canada. The focus was always to identify and prosecute the biggest suppliers. Those early gym rat dealers were confronted and offered favorable treatment if they would identify their suppliers and, in some cases, introduce the UC agent to the supplier. Some of the low or mid-level dealers were athletes or body builders, but none had much notoriety (with the possible exception of the then Mr. Ohio, a body builder). We ended up convicting over 70 dealers in several jurisdictions. Many of these dealers supplied athletes some of whom were well known. One dealer had supplied some of the players on the Michigan State football team that had won the Big 10 and the Rose Bowl. Tony Mandarich, a notable member of that MSU team, whose photo graced the front of Sports Illustrated, admitted some years later to steroid use while at MSU. Another dealer told us that that he had supplied Jose Canseco and Mark McGwire, the so called bash brothers, while they played for the Oakland A’s. We arranged for that dealer to be debriefed by MLB, and he testified before a U.S. Senate sub-committee. In addition to the UCO, we used a telephone wiretap to make a prosecutable case against one very large dealer. We had been unable to penetrate his organization using the UC agent. (On the wiretap we intercepted one conversation where the dealer threatened to “get rid” of the UCA.) That wiretap allowed us to identify the entire organization, its sources of supply and to intercept a huge shipment of steroids from Mexico. We charged that dealer with a “Continuing Criminal Enterprise,” the drug equivalent of a RICO charge. Because of the potential for a long prison sentence, the CCE dealer identified his suppliers and provided information that led to the solving of a steroid related homicide. Through out the about 3 year UCO, we were steadfast in working up the food chain, towards the upper echelons of the steroid trafficking organizations. It was tempting to want to prosecute some of the well-known players, who we learned were using steroids, but despite their celebrity, they were just users. In the case of the dealer, who had supplied Canseco and McGwire, he identified suppliers in California, and he was willing to make controlled buys from them. The U.S. Attorney’s Office in Northern California was not interested in prosecuting the dealer or his suppliers, so we arranged for the dealer to work with the California State Police. They were able to successfully prosecute the suppliers with the cooperation of our dealer. Ironically it was the same US Attorney’s Office in California that later prosecuted the BALCO case and ardently prosecuted Barry Bonds for perjury related to his steroid use with minimal success and at great expense. When our UCO ended, and we announced some of the federal indictments there was some local and national media coverage. We had hoped there would be more coverage. We wanted to send a message as deterrent to steroid traffickers and aspiring athletes. We tried to warn Major League Baseball in the summer of 1994 that they had a big steroid problem. For whatever reason, MLB ignored the warning. We did have second thoughts about not prosecuting some of the players. As various steroid scandals became public, and Jose Canseco started outing himself and others, all of a sudden the media took an interest. 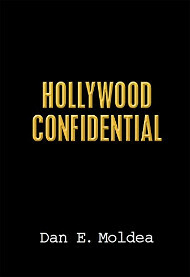 Obviously, honing in on big names — even if they were really small fish in the scheme of things — created a buzz in the media. Interestingly, Equine became more famous for having unsuccessfully warned MLB than for what we accomplished in prosecuting dealers. The reluctance of the Department of Justice and U.S. Attorney’s Offices to prosecute steroid cases including athletes /players was gone. Oddly — or maybe not — it only seemed there was an interest in prosecuting players who were famous. Prosecutorial discretion seemed to have made a 180 degree shift at least in the Northern District of California. The results of those big player prosecutions have been less than stellar. After a long protracted legal fight, Barry Bonds was tried for perjury and obstruction of justice, felonies. His use of steroids was a misdemeanor. He was convicted of one count of obstruction of justice. I’m certain more money has been spent trying to prosecute Barry Bonds and Roger Clemens then we spent during the entire operational and prosecutorial phases of Equine even correcting for inflation. Oh yes, Clemens, who was accused of lying to Congress about his use of steroids. The prosecution screwed up and presented evidence the judge had barred — and the judge, Reggie Walton, declared a mistrial. It’s unclear whether he’ll grant a new trial. Don’t misunderstand me. The players use of steroids as performance enhancing drugs (PEDs) was nothing less than cheating and did grave if not irreparable damage to their sports. In baseball the effect was so great that the 1990’s will forever be remembered as the steroid era. Further their use of steroids encouraged steroid use by young aspiring athletes sometimes with tragic results. And perjury before a Grand Jury or Congress can not be ignored. But were the players placed in front of forums in the hope that they would lie so as to create a prosecutable felony that would ultimately stir up a lot of publicity? I now have a renewed understanding of the wisdom of working up the food chain in drug investigations, no matter who the users are. Posted: 7/22/11 at 12:05 PM under FBI, News Story.